​​The map below is another work by Francois Saucier, engineer of the Louisiana Colony. It is one of about ten maps drawn by Francois during the time he served as a draftsman in the office of the colonial engineer Ignace Broutin at New Orleans. 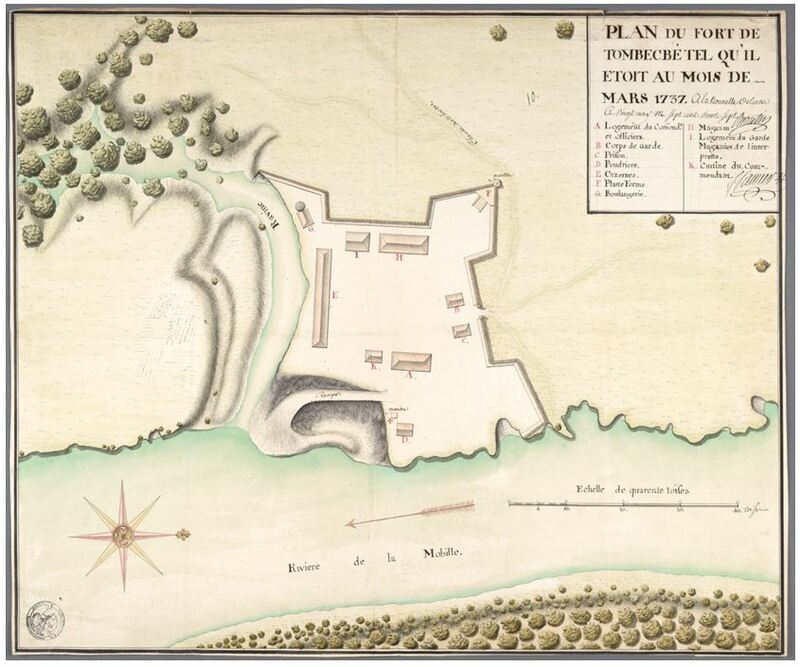 It was a water color and pen drawing made in March of 1737 by Francois of the proposed reconstruction of Fort Tombecbe in Alabama. Notice his unique signature at top right of map at bottom of block. ​​​Below is the cut out from the above 1737 map with Francois Saucier's signature. Notice the change by Francois in the spelling of his surname from "Saucie" to "Saucier". The map below was drawn by Francois Saucier during 1749 while he explored the River area from Village Gauvage to below New Orleans. The map traces the Mississippi River to New Orleans and beyond, it shows the flood plains around Lake Pontchartrain and Lake Maurepas. It was a pen and water color map. 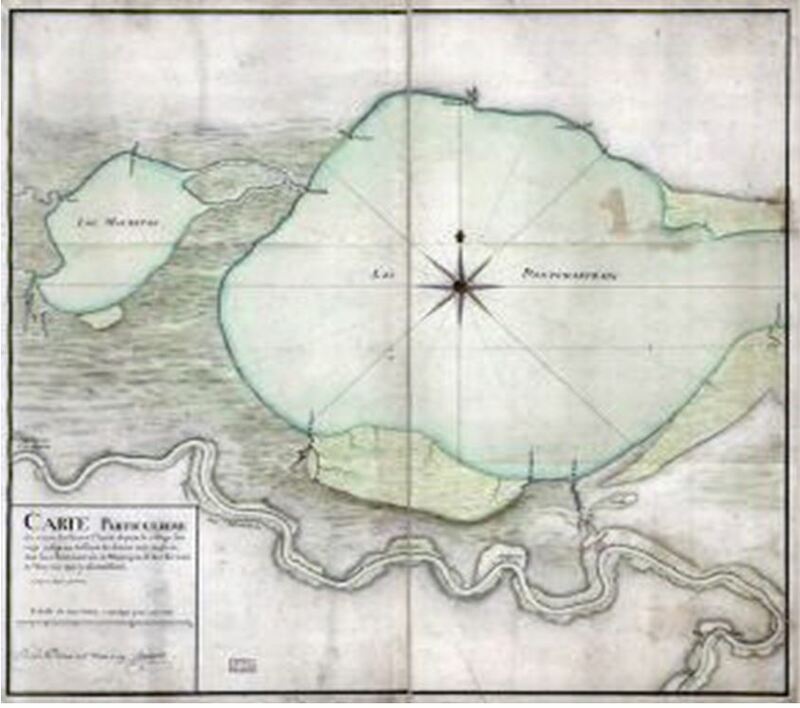 This 1749 map of the lands around New Orleans by Francois Saucier noted the existence of fresh water versus brackish water swamps along the southern shore of Lake Pontchartrain. It is one of the earliest maps to show the flood areas around New Orleans. ​​Below is the cut out from the above 1749 map with Francois Saucier's signature. Notice the change by Francois in the spelling of his surname from "Saucie" to "Saucier". The two maps pictured above are just a couple of those drawn by Francois Saucier while he was a draftsman for the colony. On Francois' return to New Orleans from Paris, he served as a draftsman for the colonial engineer Ignace Broutin at New Orleans. Francois produced at least ten different maps of the territory for the Louisiana Territory's government and The Company of the Indies. He completed nineteen surveys of different sections of the territory before becoming the Engineer of the Colony.